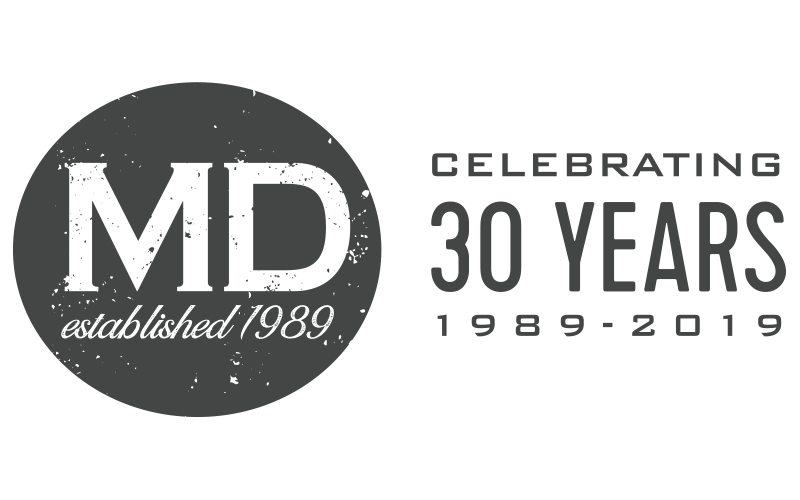 MD Packaging is Highlight’s preferred distributor in Canada for sales and service. Highlight offers a wide variety of stretch wrapping solutions to meet your product requirements and budget. 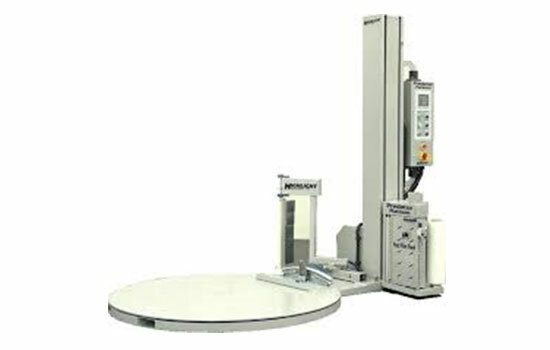 Turntable systems, rotary arm, orbital bundling, roll wrappers and coil wrappers + so much more. 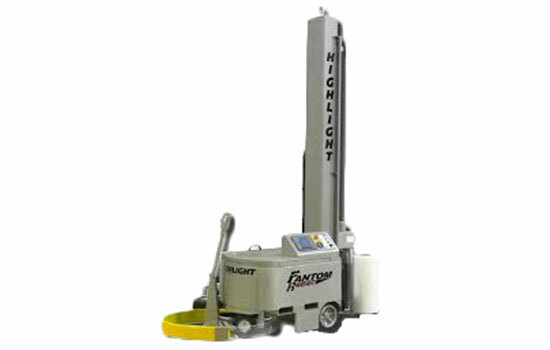 Highlight’s Fantom Robot gives you the freedom to wrap loads anywhere in your facility without sacrificing consistency and film savings. 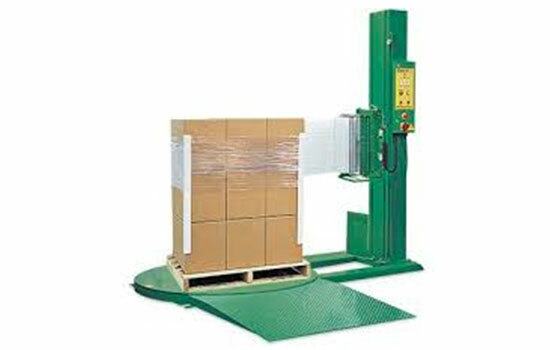 The semi-automatic controls make wrapping varying sized loads simple and easy. 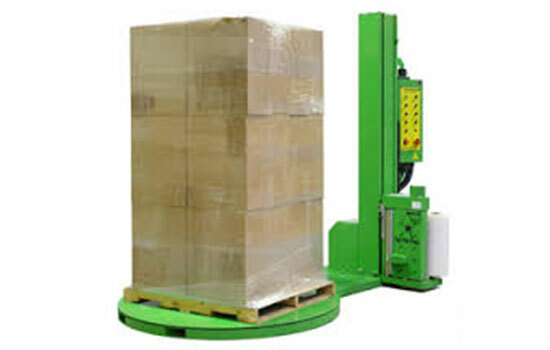 The Fantom Robot’s mobile design allows it to be brought to unstable loads, preventing the need to move them unwrapped. The self-propelled load tracking design means that products of any weight, length, or width can be wrapped simply. The Synergy 4 has 18 adjustable wrap settings, including an electronically controlled pre-stretch level which can be entered by touch screen from 0-600%, making this machine smart enough and versatile enough for laboratory testing of films. The all-steel construction, over-engineered drive and control systems, and use of industry standard components, make the Synergy 4 tough enough to stand up to decades of industrial use. Highlight Industry’s Synergy™ 5 Automatic is the industry standard for conveyorized turntable stretch wrap systems! Infinitely adjustable Dual Power Hydro-Stretch® allows ultimate stretch film control with maximum load security. State-of-the-art touch screen controls provide reliable operation and versatility through ten user-progammable wrap “recipes”, as well as diagnostic indicators for troubleshooting. 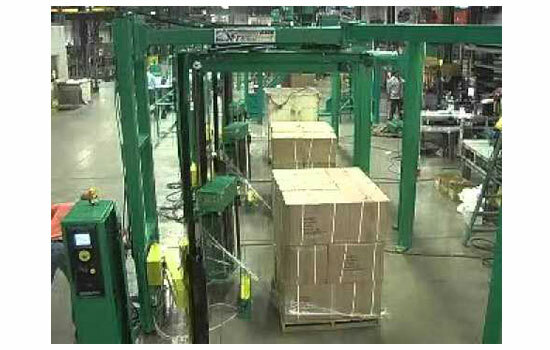 Highlight-built conveyors ensure heavy duty capacity, long life, and fast, smooth conveying for high production rates. Highlight’s Synergy™ 5 system is designed for maximum productivity and minimum maintenance using Allen-Bradley PLCs and off-the-shelf components. The Predator® XS is designed with extra features that surpass all preconceived notions of performance and value in semi-automatic systems. The Predator® XS provides greater film savings as well as improved performance with Select-Stretch™. Allen-Bradley PLC, automatic film cut, AC drives, and Fast Film Feed make the Predator® XS the most advanced and reliable system available. The Predator® Platinum improves productivity by automatically wrapping loads with just the push of the remote.The automatic film attach, cut, and wipe down is the most advanced in the industry and improves productivity by up to 40%. The Predator® Platinum is a true fully automatic system with built-in features for increased productivity that are not available on other simpler automatics. The Freedom 6512 comes outfitted with audible and visual warning signals to ensure safe operation while wrapping. Choose from a variety of add-on options to give you the perfect system to wrap your loads. 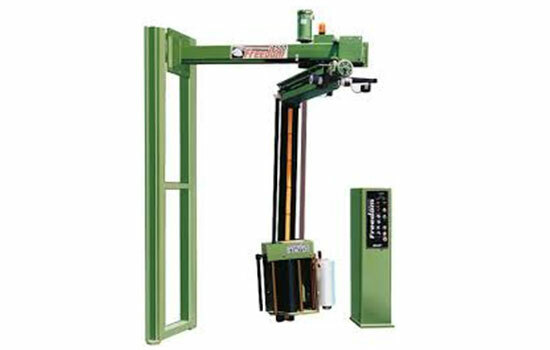 The Freedom 6500 is a semi-automatic rotary arm stretch wrapper. Any load that can be conveyed can be easily wrapped. 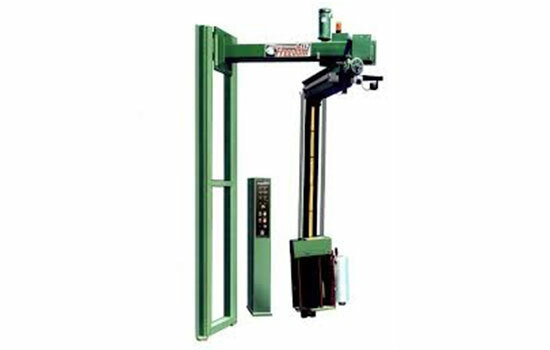 Fast 20 RPM rotating arm allows for wrapping unstable loads at high speeds without shifting the product. The free-standing control panel allows for greater flexibility, while the Allen-Bradley PLC makes operation easy and consistent. 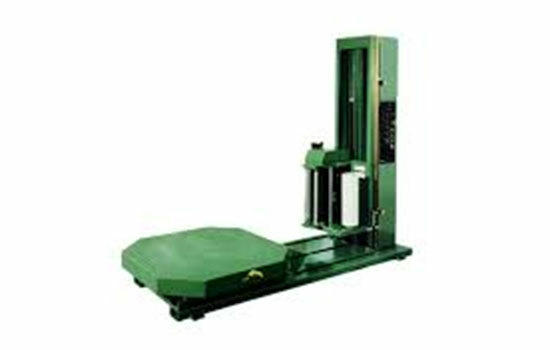 Dual Power Hydro-Stretch film delivery provides infinite control of film on the load and at the pallet/load interface, increasing load security and film savings.Heavy duty construction and durable design ensure the Freedom 6500 built for years of consistent and reliable use. The most advanced rotating arm system available! Any load that can be conveyed can be easily and economically wrapped with the Freedom™ 6500. Automatic and Platform Automatic models are also available. CHOOSE the Freedom™ 6500 for the most advanced rotating arm system available. CHOOSE any film and stretch it to its maximum performance level with Highlight’s exclusive Dual Power Hydro-Stretch®! CHOOSE the best, most efficient way to wrap your product utilizing any of five pre-programmed wrapping patterns! The choice is simple. For the most reliable, efficient and technologically advanced rotating arm system, CHOOSE Highlight’s Freedom™ 6500! The Revolver Auto Band-It will quickly, securely, and economically unitize your products in seconds. You select the number of wraps per band or continuous wrapping for full film coverage on your product. The Film is heat sealed at the end of the wrapping process for extra security. The film’s stretch level is fully adjustable to match your specific load-holding requirements. Highlight can custom design an Auto Band-It to fit your unique packaging needs. 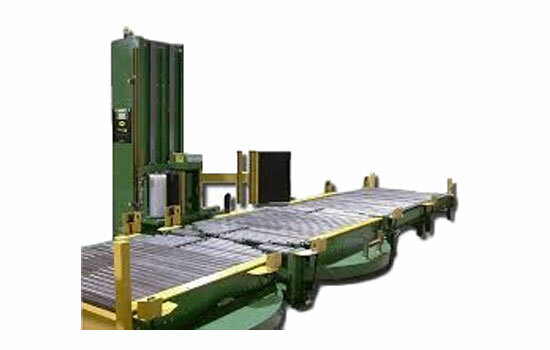 Your system can be integrated with conveyors or other equipment to maximize your productivity. 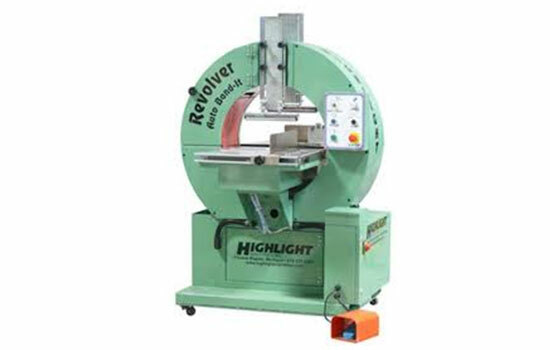 Easy to use controls, reliable and expandable state-of-the-art components, and quick access for changing film rolls or adjusting film stretch are just a few reasons the Highlight Revolver Auto Band-It is the right choice for your needs!